I remember watching the X games, playing Tony Hawk Pro Skater 3 and skateboarding every single day of my summer holidays. I liked skating so much and I really wanted to be a pro. Unfortunately, I didn’t have any direction and being young I didn’t know who to ask what I should do. 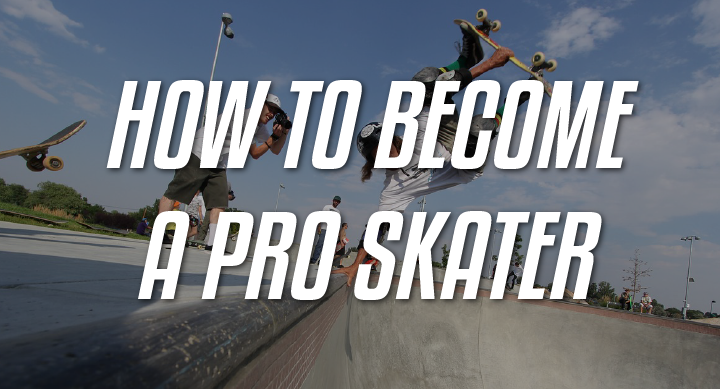 So today’s article is on how to be a pro skater, I really wish I had these tips when I was younger. They will be useful to you if you are thinking about being a pro skater. It is said that it takes about 10,000 hours to totally master something. Starting as early as you can be to your advantage, and this shows in a lot of skaters. For example, Nyjah Huston was the youngest X Games gold medalist at 13 years old, check him out in the video below. Since then his skating has only gotten better and he is easily one of the best in the game. Ryan Sheckler started really young too, he was skating every day once he turned 6. Do you see a trend here? If you have a kid and they have a passion for skating, push them. You don’t know how far it could take them and how good they could get. I think a lot of people look at their double-digit ages and the fact they pay taxes and think that they can’t skate. That’s all in their head. The truth is, it doesn’t matter how old you are, anybody can learn to skate. There might not be many pro skaters who started late but I can tell you one thing, the bulk of most focused skating starts when they are slightly older. But they have definitely had a head start. If you’re 30 and starting to skate, who knows but you might be the oldest skater to turn pro at some point. Also, it should be known, there are other niches in skateboarding. For example, luge has some skaters who are 50+ and they kill it, reaching speeds of 114kph on some race tracks. This is something that will take a lot out of your personal time, you’ll have to make sacrifices for it. Whether it’s missing out on other sports or having to wake up early weekends so you can be the first to the skate park. You’ll have to make some sacrifices. If you’re not passionate about skating, it will be hard to make those sacrifices. But please, please do not force yourself if you are not passionate about it. You need to be honest with yourself and find something you’re passionate about. In order to make improvements at any hobby including skating, you need to be consistent in how often you skate and how often you practice. This will make it easier for you to improve and track your progress. It also gives you a lot of momentum and helps you build confidence in your skills quickly. It helps you become consistent in your tricks, wouldn’t it be cool to land everything first try? People are so crazy about skateboarding, that there is even a skateboarding high school in Norway. Where students have full access to skate parks whenever they are free. I can tell you now, you’ll be seeing some great pro’s coming out of there. If you can’t move to Norway, there are also summer camps you can attend. They are great as you’ll be surrounded by skaters and you can really target your problem areas. A lot of pro skaters skate every day, so I think it’s extremely important to commit. That being said, it’s ok to take a week break or miss a day here and there. As long as it is not too often. The more competitions you attend and win, the more your chances of becoming a pro skateboarder increase. The fastest way of getting known in your area, by your local skate shop and even sponsors, is simply by attending competitions. Competing a lot also exposes and desensitizes you to the pressure of competing. If you can perform as well and as calm as you do at the skatepark, you would be setting yourself up to win. You can find out about competitions by read skateboarding news and be following your local skate shops pages. By building a social media following and developing yourself up as a brand. You develop your own core fans and supporters. This grounds you and gives you a strong base to operate from. It develops independence from your sponsors and helps you bounce back if you’re dropped from sponsors, lose competitions etc. It helps solidify your skateboarder career. 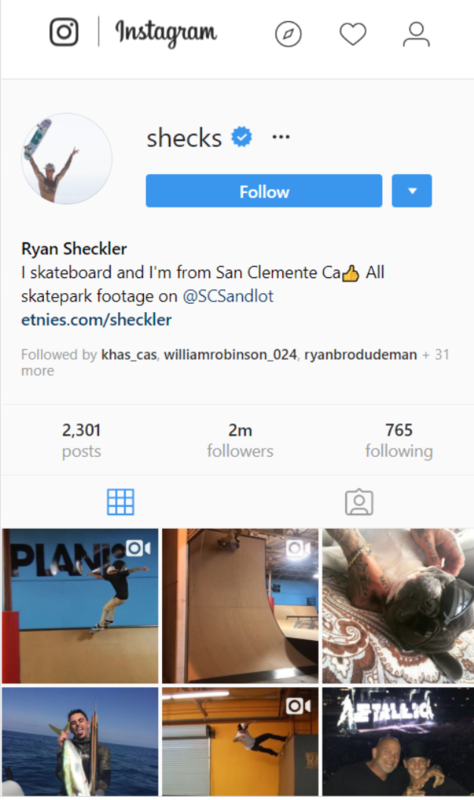 Ryan Sheckler is an example of a skater with great personal branding, loads of people outside skating know who he is. It also makes you more attractive to brands for sponsorships and collaborations and finally, it can even help you set up ways for making your income if you’re clever about it. If you become a familiar face at your skate shop and support them, you could find yourself getting some free gear flowed to you or even getting sponsored somewhere down the line. From there, it makes it easier for bigger sponsors to find you. They usually communicate with skate shops, ask who is killing it in their area and sometimes sponsor them. Therefore, be smart and buy local. You’re going to be pushing your body to its limits and breaking points. When your body is in it’s best shape, you will be able to perform your best. It also helps with keeping injuries at bay. Having a strong, healthy body makes it harder for you to break your bones, sprain your wrist and bruise your muscles. It also makes it easier to bounce back from injuries. Loads of pro skaters work out, Leticia Bufoni, Neen Williams etc. If you can, always give it your 100%. Now I don’t mean kickflipping that 7 stairs and not stopping until you get it, that type of skating can be reckless and isn’t always sustainable. I mean skating within your limits but always pushing yourself. Always pushing yourself to be more consistent, always trying new things like trying a 3 stair and then a 4 stair etc. etc. Always trying to improve your skills and take it to the next level. With this mentality, you can be sure that you’re going always going to get better and then being a pro won’t be that far off.